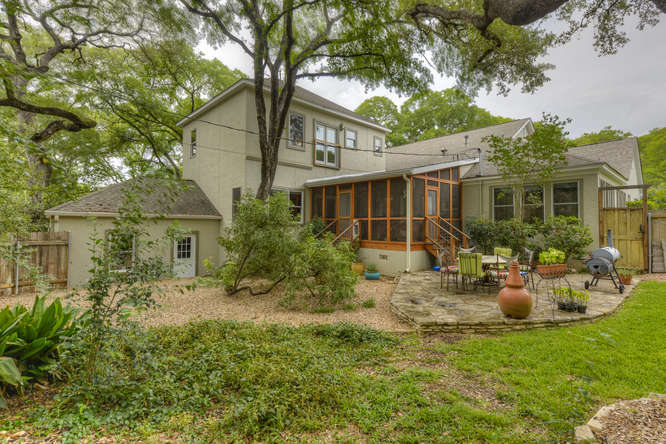 I am thrilled to have the opportunity to list 3209 Clearview, a house I have walked by and admired numerous times, on one of the loveliest streets in Tarrytown. One feature that really adds to the curb appeal of this home is that the 2 car garage is located in the back and accessed by the alley behind. 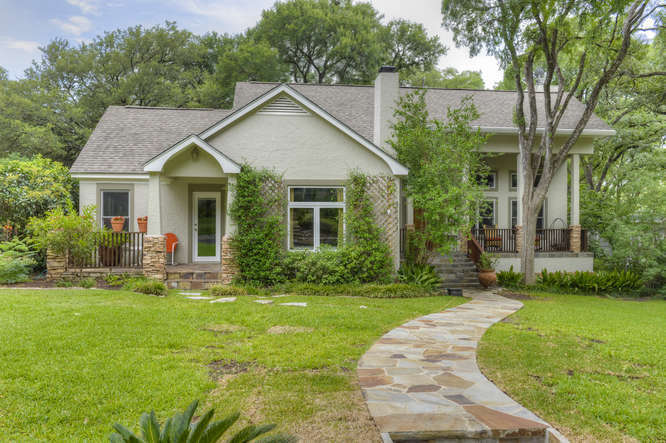 The original home was built in 1942, it was a typical tiny Tarrytown cottage, then the previous owners added on, keeping the integrity of the home and creating an elegant, spacious & comfortable 4 bedroom home. 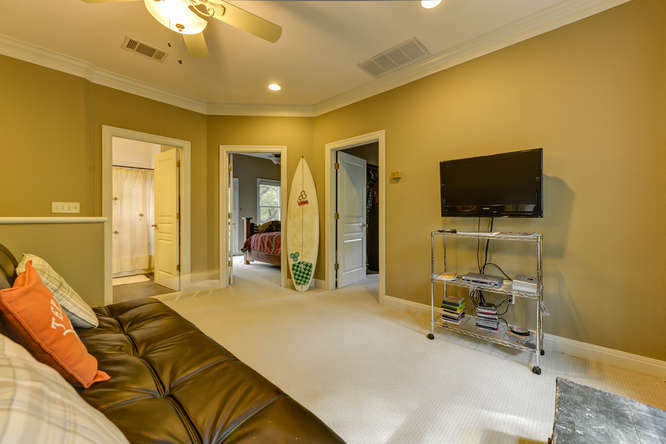 The master suite is on the main level and is like a quiet retreat, wood floors, tall 10 foot ceilings, 2 walk in closets and the bathroom has a jetted tub and huge separate shower. 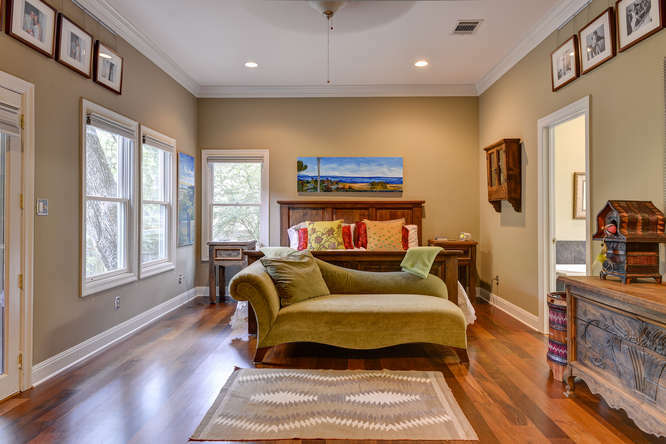 The 4th bedroom with it’s wood floors, walls of windows and full bath, to me would be such an ideal yoga/pilates room, there is also a murphy bed you can pull down for guests. It could also be a great game room or art/craft space. 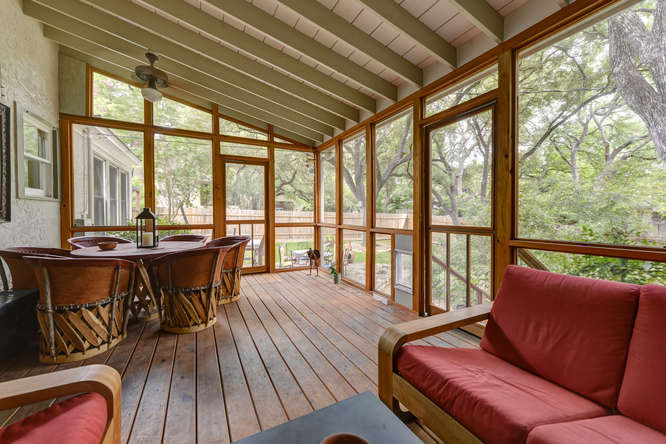 A screened in porch with ceiling fans – very dreamy. Margarita?? 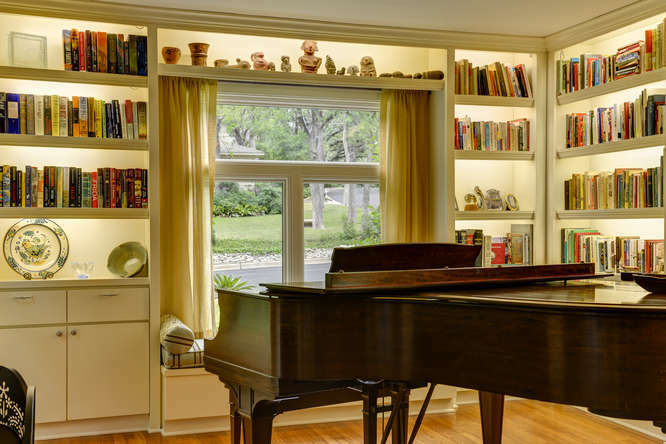 A “library” – back lit built in bookshelves and a window seat for reading. 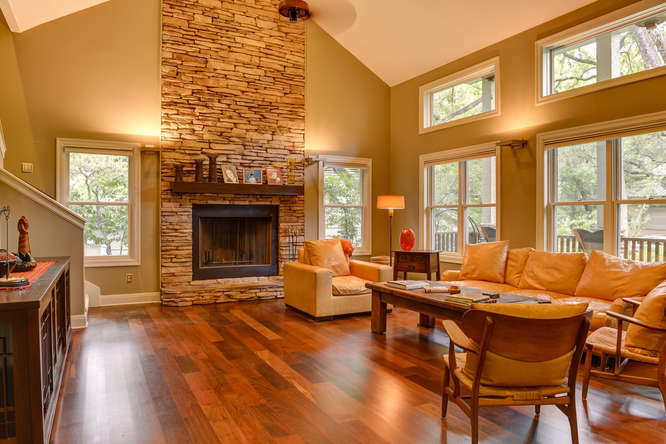 Everyone’s favorite room is the living room – super high ceilings, gorgeous Ipe floors, stone fireplace, lots of light and open to the kitchen for flow & ease. 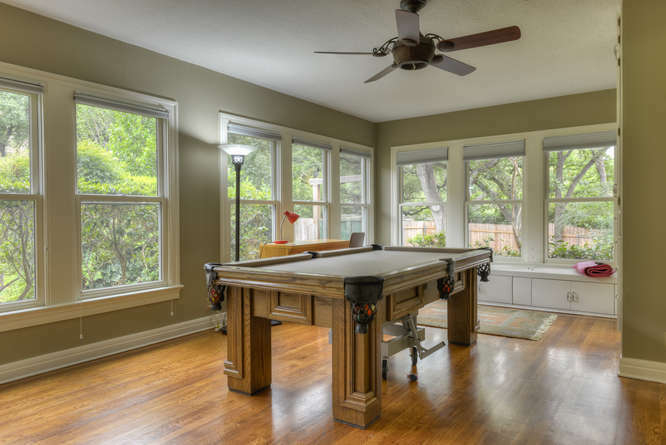 The back yard has large shade trees and is also large enough to add a pool, a feature that many people looking to buy in Tarrtytown are looking for.